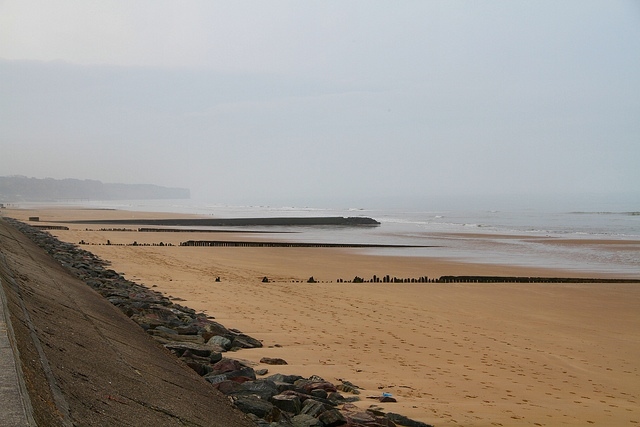 Explore the five Normandy beaches on which allied forces began "Operation Overlord" - the invasion of northwest Europe - on June 6th, 1944. Wander through evocative cemeteries and across long, empty stretches of sand, exploring the museums, monuments and scattered remnants of this vast military undertaking. The 6th June 1944 saw the beginning of the end of WWII, and it came with one of the most impressive and audacious operations of the war. 150,000 British, American and Canadian soldiers began landing on beaches across a 50mile stretch of the Normandy coastline from around 6.30am. 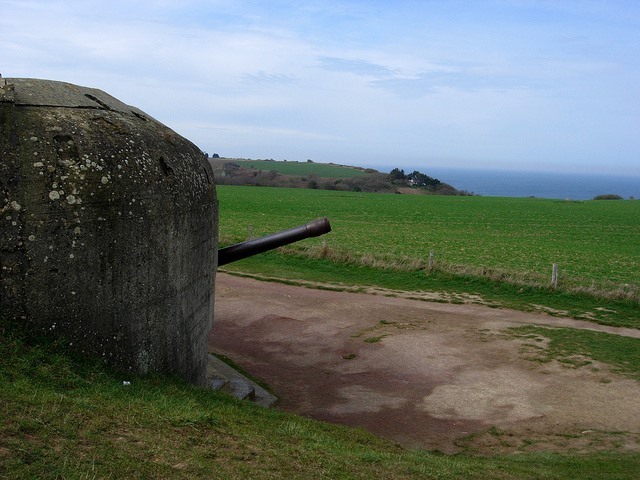 They braved the mines and the machine gun fire to approach, with virtually no cover, the German gun emplacements. In bitter, hand-to-hand fighting, they captured the defences and continued inland. 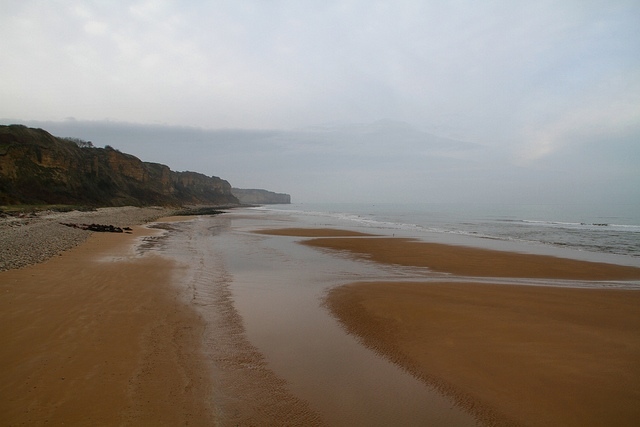 The same beaches which saw the deaths of tens of thousands of Allied and German soldiers are today long, tranquil stretches of sand. 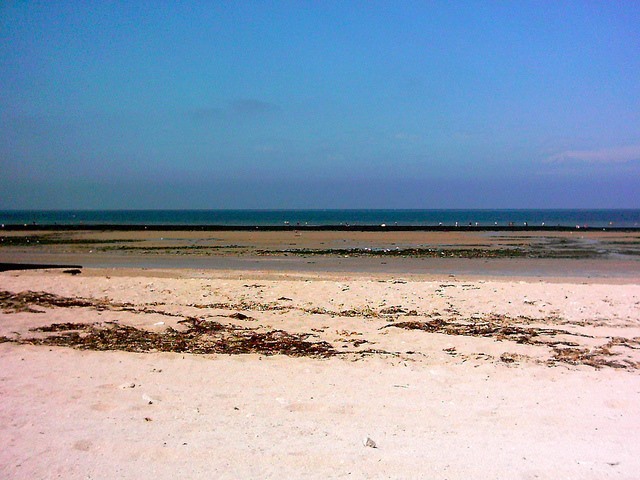 In summer tourists stroll along the sea front, whilst children paddle in the shallows. On the more isolated shorelines the cool wind blows across wispy grasses, growing on now innocuous, shallow headlands. Slightly further inland are vast cemeteries, with their row upon row of orderly white gravestones, built in the countryside around the towns and villages which were fought over so fiercely. Thousands of French civilians were killed in the allied bombing attacks and the hand to hand fighting which followed. 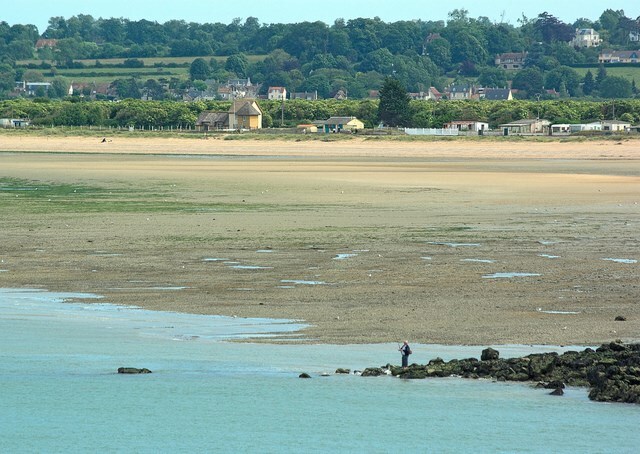 You can walk the Normandy beaches in several ways. 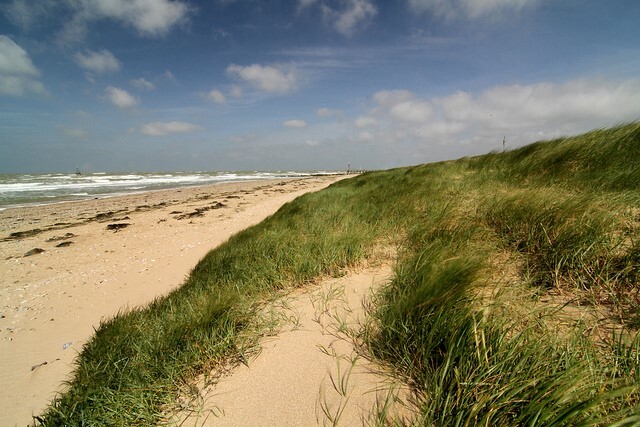 It is possible to walk all the way along the 50 mile stretch of coast, staying in towns along the way and exploring the beaches as you go. This requires relatively long stretches of walking on each day, and you may want to use private or public transport at some points to ensure you get to see all the main sights. 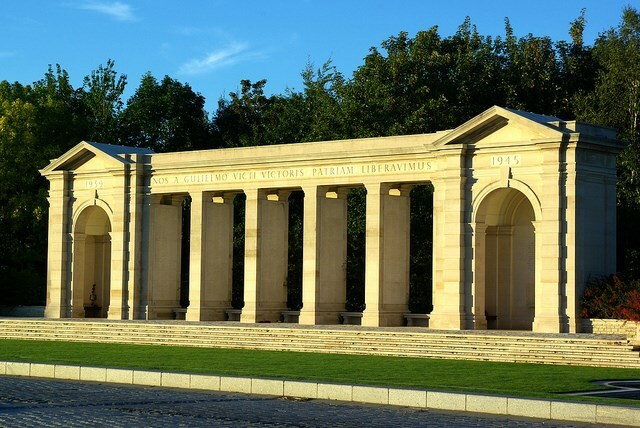 Sentiers de France do a self-guided walk along these lines, hiking from Merville to Saint Mere L'Eglise (interspersed with several taxi trips, taking in the American Cemetery at Colleville and the labyrinth of old German trenches in Grandcamp-Maisy). Most visitors choose to do day trips, either as part of a guided tour, or by using private or public transport to get to the main sights. This allows for considerable time exploring each area of importance in the invasion, although provides less of an opportunity to explore the surrounding countryside. 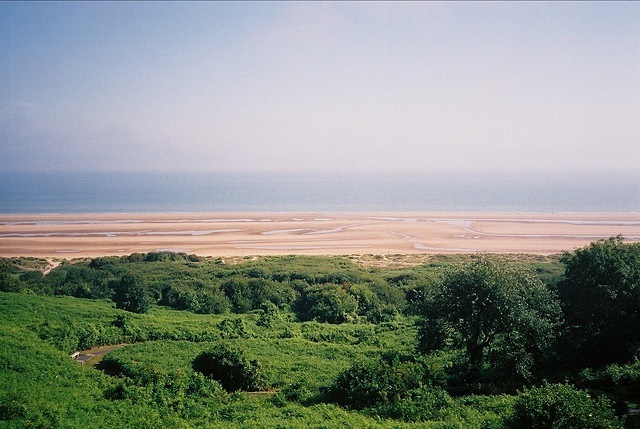 The main areas are defined largely by the five landing beaches: Sword and Gold, where British troops landed; Juno, which the Canadians took, and Omaha and Utah, the US landing beaches. 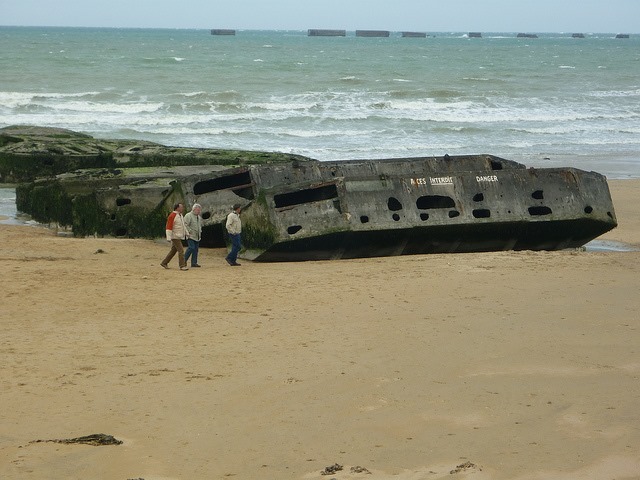 Sword Beach was the most easterly landing. 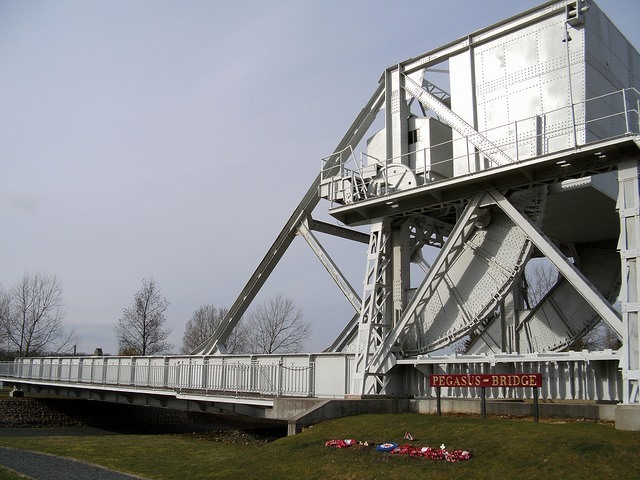 The capture of Pegasus Bridge was one of the major achievements of the first day here: the original bridge is now a memorial situated in Ranville, a few kilometres south of Ouistreham. The five miles of Juno Beach are relatively undeveloped, and include an array of pretty seaside villages. 'Centre Juno Beach' provides a wealth of fascinating information on Canada's role in the landings, and in the Second World War more generally, and is certainly worth a visit. Perhaps the most iconic building here is La Maison Queen's Own Rifles of Canada, with its black and white timber frame featuring frequently in media coverage of the invasion. 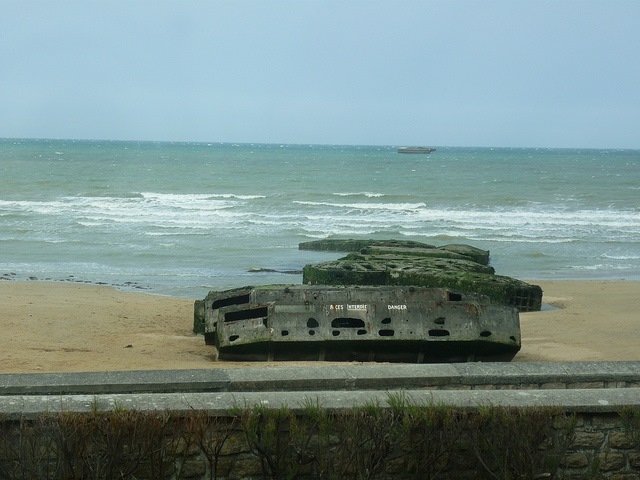 Arromanches, the town taken by the British after their landing on Gold beach, is well worth taking some time to explore: not only is it home to one of the largest memorials - a vast statue of the Virgin Mary - but the German gun batteries along the Longues-sur-Mer (cliffs just to the west of Arromanches) are some of the most complete, and the most impressive, along the entire coast. Out to sea, the remains of the Mulberry harbor, a temporary construction dragged over from England behind boats, can still be seen. 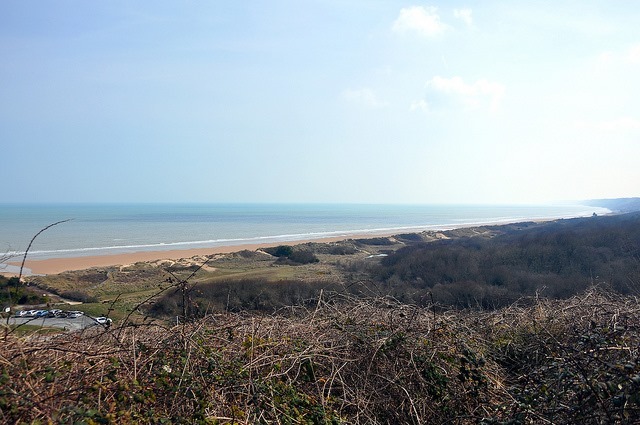 Omaha Beach is conjured up in the minds of many by the excellently created and shot opening scenes of Saving Private Ryan: it was here that some of the Allies' greatest D-Day losses took place. 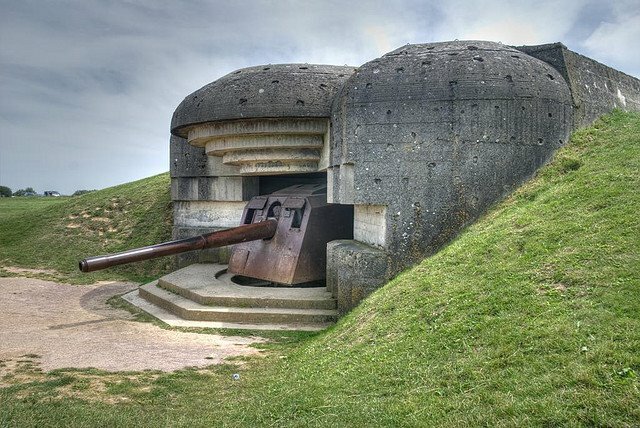 A heavily fortified 150ft headland at the top of the beach had suffered very little damage in preparatory bombing raids, and enabled the German forces to slaughter thousands of US soldiers as they landed. 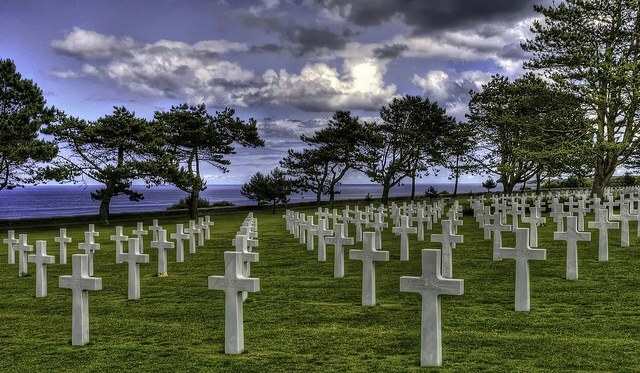 Now this tranquil, sandy stretch of beach is overlooked by the seemingly endless white crosses of the American Cemetery. 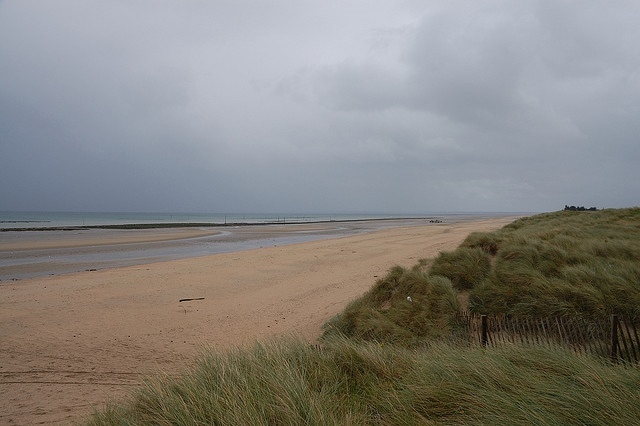 Utah Beach was the most westerly of the invasion beaches, and in this area is Saint-Mere-Eglise, probably the most famous town of the D-Day landings, and one of the first to be liberated. 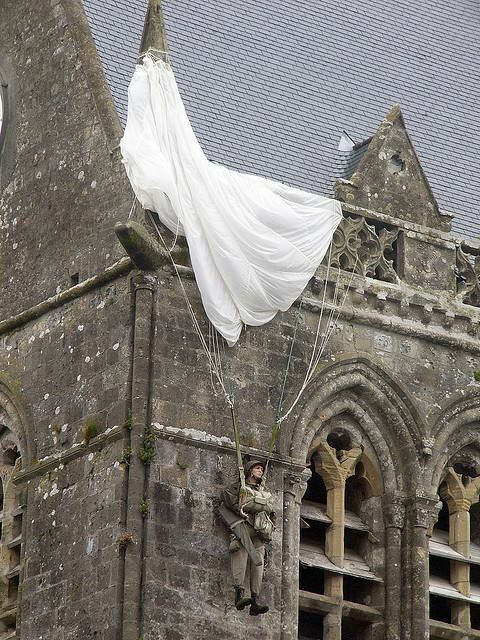 The church here is particularly iconic: a parachute and dummy hang from the church roof, in commemoration of John Steele, who was stuck here for several hours during the fighting. Perhaps even more bizarrely, a large, surreal, stained glass window shows the Virgin Mary and child - surrounded by paratroopers. 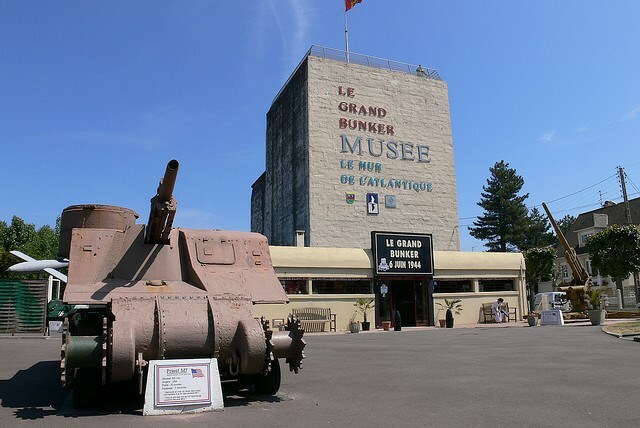 If you are not taking a guided tour, then we would recommend picking up at least one book (the most helpful single book is likely to be Paul Reed's Walking D-Day, part of the Battleground Europe series). This walk is all about the historical context, and it is worth making use of the excellent resources available. Full stretch is fantastic, but there is an awful lot of roadside trekking. Cliff tops beyond Pointe du Hoc are a nice walk but not well marked, maintained and are potentially dangerous. No indication of this till you're too far in to turn back. Lacking a well maintained, dedicated trail but massively enjoyable- particularly the sunken lanes on the way out of SteMere Eglise. Corsica - less famous than it should be. Stunning walking, from high, rugged mountains, to ancient mule parth to coastal beauties - with good food thrown in!